I’ve been away. To Puerto Rico, ironically, which like Illinois is bankrupt, but which is free of the pretensions of grandeur that make living in Chicago, Illinois such a political and spiritual nightmare. A woman fleeing a gang of 10 youths in Streeterville ran out onto the Drive, where she was killed by a car. Sixty-nine people were shot over the holiday weekend, 6 fatally. The City of Chicago paid $2 million to settle a lawsuit that whistle-blowing cops had brought, heading off a trial that would have centered on the police department’s code of silence. Mayor Emanuel, who was to have been called to testify, figured this was a good use of citizens’ money. What use is justice here anymore, anyway? In the state capital, the legislature once again ended its spring session without passing a budget. The legislature has now failed of its duty for two years. According to the website Truth in Accounting, Illinois’s debt burden is $187 billion. Others place it at $148 billion. Illinois lawmakers are too cowardly to face the pain entailed in getting the state’s finances back in balance again. It’s difficult to divine why they are in office. 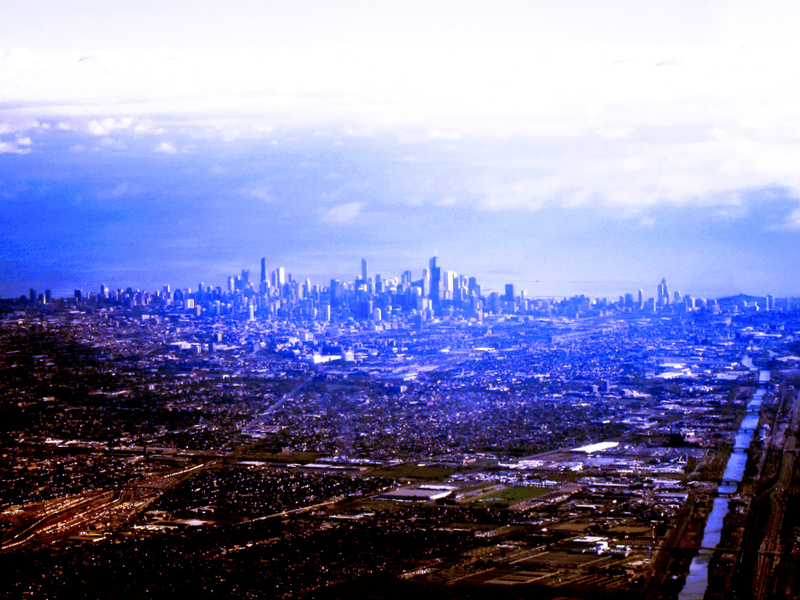 Chicago is a microcosm of all that troubles the nation now. The racial divisions, out-of-control violence, and public corruption are corrosive. Public order is fragile and in jeopardy. Over all this is a posturing ‘leadership’ that cares mainly for reputation and the superiority of being part of a political elite. While Mr Patton made the aldermen uneasily aware that a video from the scene would establish that Laquan McDonald’s killing had been wrong and unnecessary, he plied them at the same time with positive arguments about the pay-out, a ‘common sense’ measure that would save the city trouble and money. Already the family had been talked down from $16 million to just 5; settling with them would keep the video under wraps and silence inconvenient truths that the plaintiffs’ lawyers were murmuring. Questions from the finance committee were not very searching but betray some disapproval and disgust. Alderman Laurino’s questions about why Tasers were unavailable at the scene prompted Alderman Burke to comment, “It would appear had the Taser been available in this case, the taxpayers wouldn’t be shelling out $5 million.” Alderman Burke, once a city cop, recalled that, in his day, officers were taught to shoot only three rounds (instead of the 16 that Officer Jason Van Dyke pumped into McDonald). Alderman Ervin’s questions explored whether the officer who killed McDonald (identified to them only as ‘Officer A’) would be bear any responsibility, given that his misconduct was about to be cleaned up by the city. The finance committee (which included ‘good’ aldermen like Scott Waguespack) then approved Patton’s proposal, which swiftly advanced to the Council, where it passed unopposed. Alderman Burke, as the committee’s chair, introduced the $5-million payout merely as ‘Estate of McDonald, the case 14C2041.‘ This cryptic cue was understood by all, for the Council, with Mayor Emanuel present and wielding the gavel, approved the measure in 36 seconds, without a single question about what it might mean. As a consequence, the rights and wrongs of McDonald’s shooting were never discussed in a judicial setting, sparing the city from accusations of wrong-doing. The finance-committee transcript establishes that members of the Emanuel administration and City Council knew in April that McDonald’s killing was likely unjustified. They knew that ‘Officer A’s’ actions were uncalled-for and way out of line. In light of that uncomfortable reality, however, aldermen went along with the mayor fairly readily, agreeing to pay off the victim’s family rather than to speak out against City Hall or the police’s actions or to demand any change. The October 2014 video of Chicago police officer Jason Van Dyke fatally shooting Laquan McDonald became available only after a court battle and was first made public on November 25, 2015. 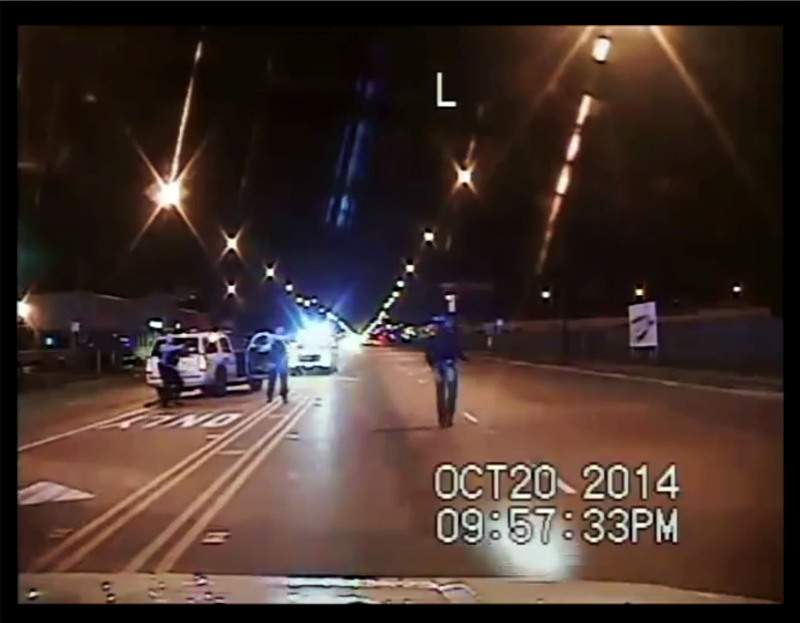 Everyone is more comfortable talking about ‘the video’ than about the killing of Laquan McDonald. But the video is important only as ‘the thing left behind’—a messy artifact revealing that, for more than a year, Chicago’s police force and political establishment have all been complicit in covering up a dirty killing. With this artifact as key, events of the past year have taken on a whole new meaning, one filling all Chicago with disgust and outrage. This clue to ‘what really happened’ gives the public a yardstick, empirical and moral, for measuring all the related actions that our officials took subsequently. The callousness, cowardice, and banality of their actions are enveloping the city in shame. In a town used to corruption, this scandal is different, implicating the mayor, the police, the City Council, the state’s attorney, a complacent media, even, arguably, the victim’s family. No one of the parties responsible for declaring Laquan McDonald’s death an unjustifiable mistake and demanding that his killer be appropriately punished rose to the occasion. For various reasons, everyone involved shirked this basic responsibility, efficiently burying the facts of the case in such a way that a gross miscarriage of justice was, in the end, ‘nobody’s fault,’ as Dickens would say. Now the guilty parties are rushing to save themselves, stab others in the back, and shift the burden of responsibility. The mayor fired the police chief the other day. The feds will step up their investigating. But will the guilty be punished? Will Chicago ever change? As all Chicago wakes to the reality of its government’s systemic corruption, we’re about to find out whether any entity has the wherewithal to hold the police union, the mayor, or the City Council responsible for actions that amounted to an obstruction of justice. which can be viewed in its entirety here.